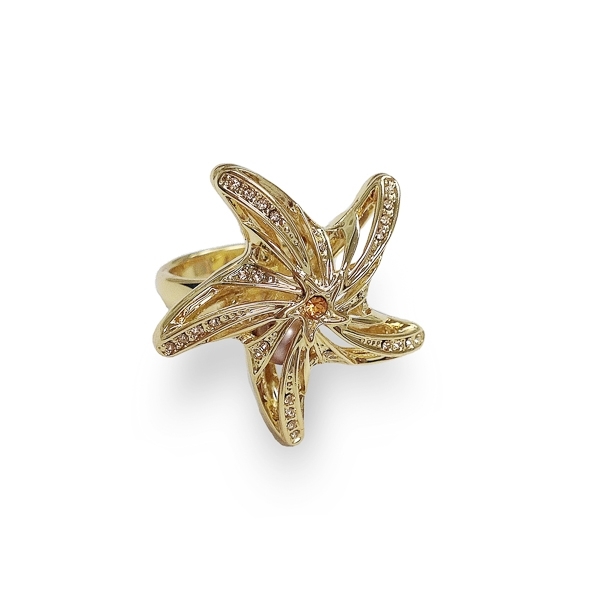 Description: 14k gold plated open work starfish ring with channel set crystals and floating glass pearl inside. She reminds of the oceans and the tropics and everything good they represent. Material and Measurements: 14K Gold Plated Base Metal, Glass Pearl, Crystals - Focal Point 1 1/4" X 1 1/4"
Enter Quantity for R-AE052-YG to add to your shopping cart.